2012 Invisifractor Just Hit Ebay! After not getting anything hugely awesome in my birthday baseball card box break, I decided to have some fun and post up my 2012 Bowman Prospects Bryce Harper, plus my 2012 invisifractor on ebay to see how well it would do. I’ve gotta admit – the attention it has already gotten was well worth it, lol! After a number of excited collectors and investors have discovered in its 2012 retail product, it just doesn’t hold a candle to its hobby and jumbo counterparts. An unofficial Spokesman from the popular baseball card manufacturer has confirmed and extra surprise in the retail version. Something more rare than the superfractors. Enter: the Invisifractor. A slickly designed card using cutting edge technology to give the appearance that it is invisible. “You can literally see right through it” an unofficial spokesperson in an exclusive interview. 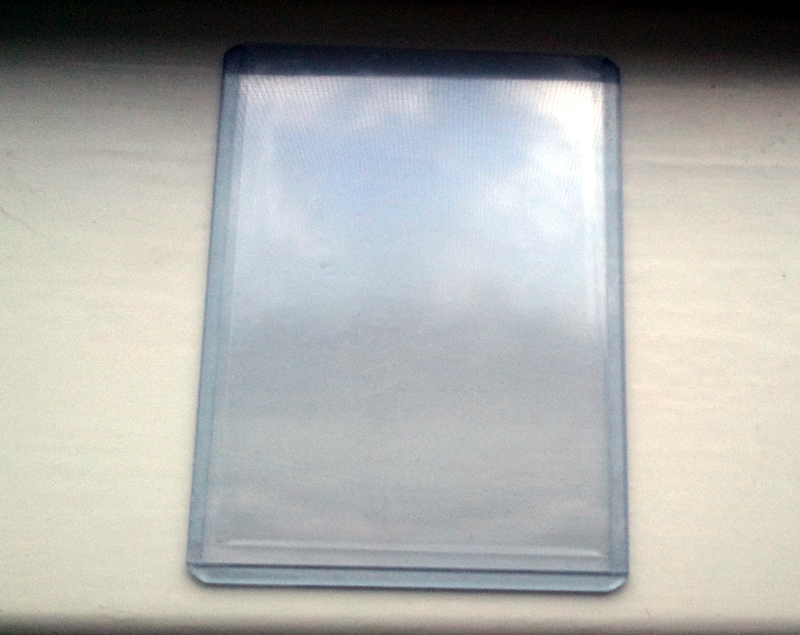 One has been pulled from boxes at a well known retail outlet, though, the lack of markings on the card make it difficult to substantiate the claim. When asked what he was going to do with it, the proud new owner mentioned that he is going to put it up on ebay. While some are not clear about if this is a hoax or not, others claim they see right through this shameless shenanigan to score some easy money to buy some more baseball cards. Damn someone just bid on it taking away the Buy it Now price which was the funniest part of the listing. I'm not saying the whole listing is amusing but the $10,000 BIN made me giggle. I just now noticed that – bummer! I wish it didn't do that … URGH!